Scooper - Technology News: In Europe, skilled craftsmanship is luxury. Why not in the rest of the world, too? In Europe, skilled craftsmanship is luxury. Why not in the rest of the world, too? From the famed haute couture of Paris to the treasured ateliers of Italy, craftsmanship in Europe is a deeply embedded cultural point of pride. What’s more, these traditions – leatherwork, embroidery, shoe-making, hat-making, sewing, glassblowing and the like – are largely revered by consumers as telltale signs of luxury. Heritage techniques are front and centre in marketing campaigns for Gucci, Berlutti, Hermes, Chanel, among others. Artisans themselves are increasingly introduced to consumers at craft festivals such as L’Ecole Metiers d’Art with the understanding that this exposure to craft builds loyalty with consumers who increasingly value history and authenticity. And what’s more, these brands, in a competitive retail environment, continue to invest money in training the next generation of craftspeople, understanding that these hard-earned skills of are among their most important trade secrets. Not to paint an overly rosy picture, even the craft traditions of Europe are suffering in the face of an increasingly fast-paced and mechanized industry for fashion and home design. The clashing and melding of handmade and factory-produced needs only to look to fashion’s latest runways to find confirmation that these forces are lodged in the forefront of industry and public consciousness. Now let’s imagine we’re hopping on a flight from Paris to Bandung, Indonesia. We take a four-hour rickety train ride to the coastal town of Cirebon. What we might find here is a hotbed of batik textile craft, a technique that dates back hundreds of thousands of years. The art of applying batik’s wax motifs via hand stamps and cantering is undeniably a skill that must be taught and learned. It is a meticulous and difficult art, requiring attention to detail and patience. The most elaborate batik textiles can take as long as seven months to produce from start to finish. Or let’s say our plane was destined for Varanasi, India. Here, the 500-year-old handloom silk-weaving technique has been a source of cultural pride and livelihood passed down through generations. The skills of working a loom require years to perfect. The punch cards, which depict a handloomed textile’s elaborate motifs, can themselves be several feet high. This is an art, and to be a proud owner of one of these textiles is a luxury. These small examples only scratch the surface of the $34 billion industry for artisan exports. This global market employs millions of artisans whose skills are most certainly on a par with those of the masters of Europe. So what is different for these artisans? Why do they see so little investment? Why is their craft hard to find at international trade shows and on contemporary runways? Why is this work underpaid and undervalued in the international marketplace? And why are these talented workers given little to no visibility? 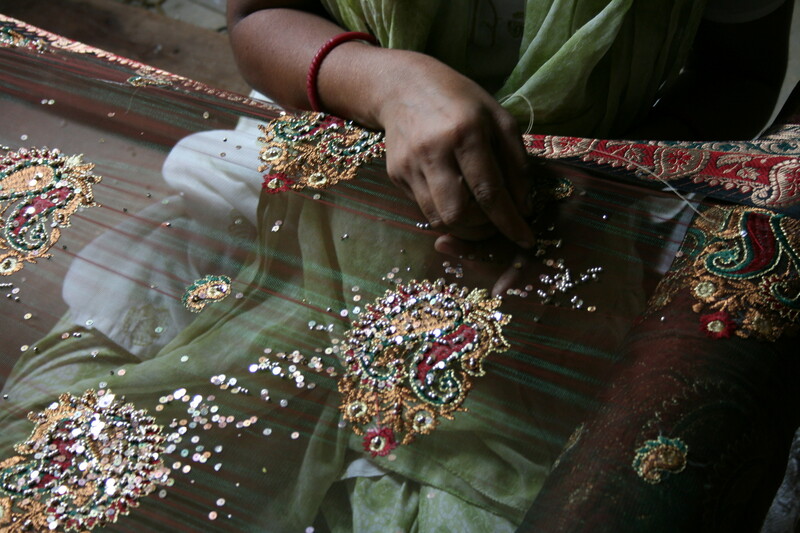 Who is supporting the global community of artisans and the craft traditions they carry forth? When I founded Nest more than 10 years ago, a non-profit organization committed to advancing this craftsmanship, the word “artisan” did not generate the level of marketing buzz it seems to today. It still seems to be undervalued. What can we call these people, what can we name them, to show them the respect they deserve and to redefine misperceptions of what global craftsmanship looks like? These are questions that my team grapples with all the time. We are working to expand a narrow view of artisans, one that bestows value in a selective way and favours certain geographies above others. We are committed to recasting the industry and public perception of “global artisan” to be on a par with the skilled craftspeople we see in the glossy ad campaigns for Europe’s most coveted luxury brands. As much as Nest can be a platform for this transformation of perception, we will do so. And we hope to have the support of the luxury brands themselves in lifting up their fellow craftspeople in all corners of the world.